I felt like I wouldn’t fit in. Later, I found a great group of friends that I really connected with. They are super funny, and we hang out all the time. 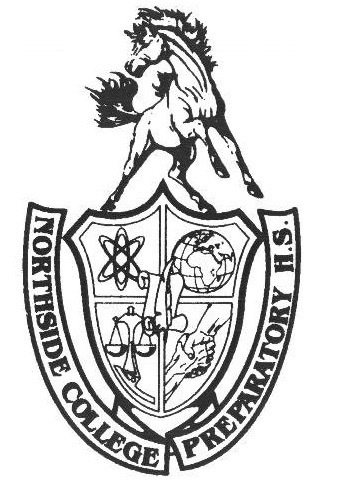 Since then, I found myself really enjoying my time at Northside. Which teacher do you most want to be? Why? The teacher I would most like to be like is Ms. Cirrincione because she is super fit and really chill. She is a great teacher and actually makes class fun. If you were a vegetable, which would you be? Why? If I were a vegetable, I’d be a celery, because it is mostly made of water, and so am I. If I didn’t have to sleep I would probably hang out with my friends. I would also go downtown and shop. My humanities class, because it is actually fun. I usually never enjoy English class but the teacher is really outgoing and makes jokes with the students. The last time I climbed a tree was in 8th grade. I was waiting for the bus and my friends dared me to. What movie or show universe would you most like to live in? I would like to live in Harry Potter’s world because they have magic. That means I could do or have anything I want. The only downside is that I would have to carry a wand around.